A Babbler told us that Japanese shipbuilder Tsuneishi is taking a look at possibly taking over the shuttered operations of Hanjin Heavy Industries and Construction Philippines. The source said Tsuneishi was in an expansion mode amid the tempestuous market conditions and its officials saw the South Korean shipbuilder’s shock collapse was an excellent opportunity to further its ambition. 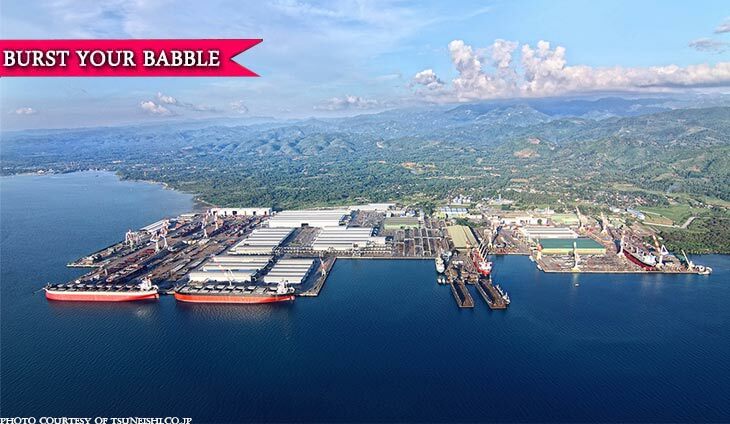 Tsuneishi has been bulk carriers, tankers, container carriers and wooden chip carriers at its plant in Balamban, Cebu in a joint venture with the Aboitiz Group for the last 25 years. But its current site offered little room for expansion and Tsuneishi has to look at other site to expand capacity. Tsuneishi Heavy Industries Inc., a joint venture between Japan’s Tsuneishi Holdings and the Aboitiz Group (20 percent stake), said it is business as usual for the company and that it has no plans to close its shipyard in Balamban, Cebu despite some slowdown in the global shipping business. The Babbler said the Japanese shipbuilder would be a more palatable buyer compared to two unnamed Chinese companies that have reportedly expressed interest in buying which Hanjin defaulted on $1.3 billion in loans of which which over $400 million last week. Several proposals are being considered for this shipbuilder swimming in debts.